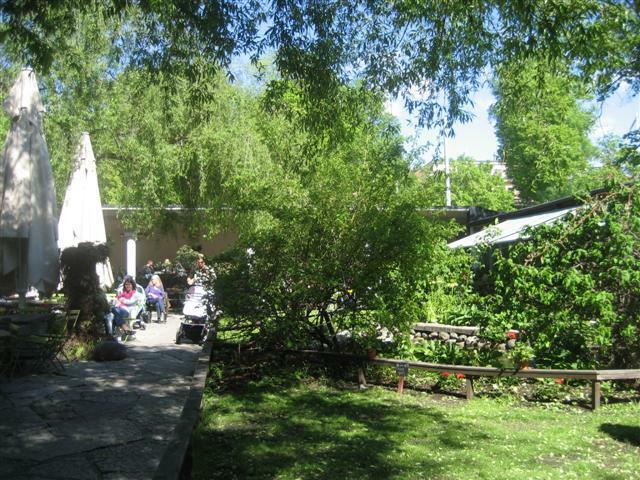 On the gorgeous picturesque island of Djurgarden is this sweet cafe. I only discovered Bla Porten as I saw these dark iron gates which were framing a contrasting lush green area. At first I wasn’t sure if it was private property. It looked like a beautiful secret garden. Once I realised that it was a cafe, I entered the gates and was welcomed by a beautiful garden, with lots of outdoor seats. 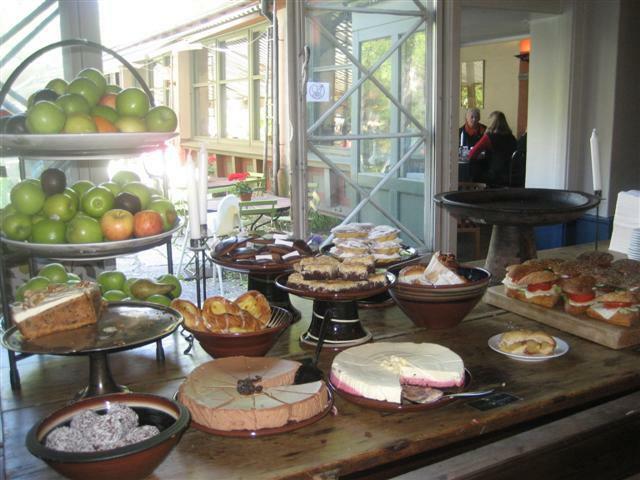 Inside Bla Porten Cafe, there was a huge wooden table, filled with so many cakes, pastries, fruits and sandwiches. It was all displayed so nicely and it felt like I was in cake heaven. The only thing that I would have changed was that I would have had all the food covered, as I’m not a fan of open food displays. So, seen as it was time for an afternoon tea break, I had a cup of Earl Grey tea. Bla Porten used fresh tea leaves which they then put into a tea bag. I was told that I could help myself to the hot water and milk, which was by the entrance of the cafe. 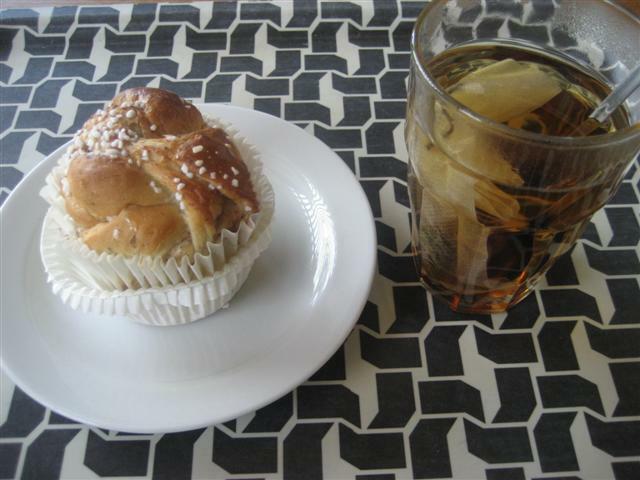 As for something sweet, I had a cinnamon bun. This was fairly big but a little dry. It could have had slightly more cinnamon. I could also taste cardamon. 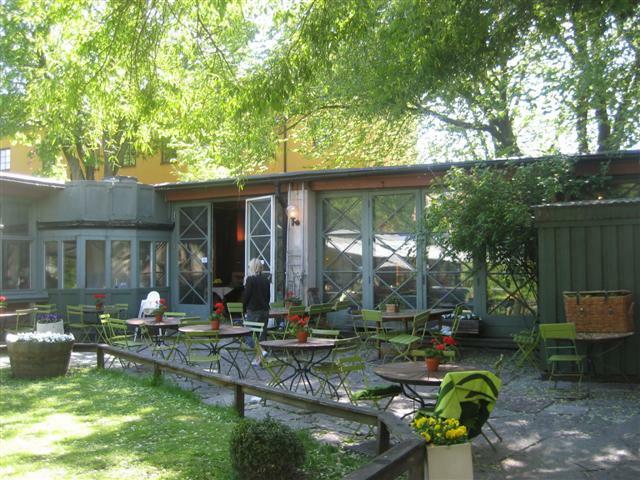 Bla Porten has a lot of indoor seating but I think that it is a lot nicer to sit outdoors, if the weather is good. 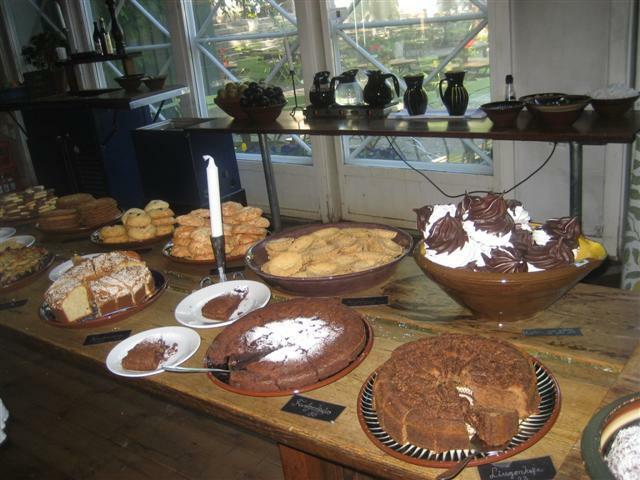 The staff were very friendly and didn’t mind taking the time to explain what the cakes were. 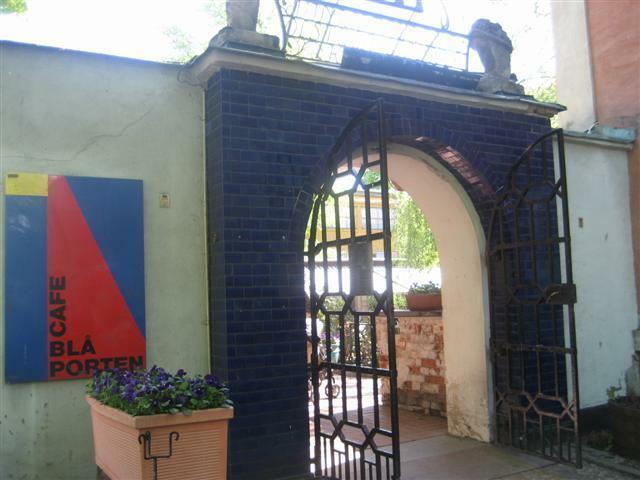 At first, I had been very impressed with Bla Porten, more to do with its surroundings and its displays. As for the food, it was ok. Maybe I should have tried one of the other cakes and then my opinion might have changed. Saying that though, this cafe had a good range of teas and coffees and I was spoilt for choice.